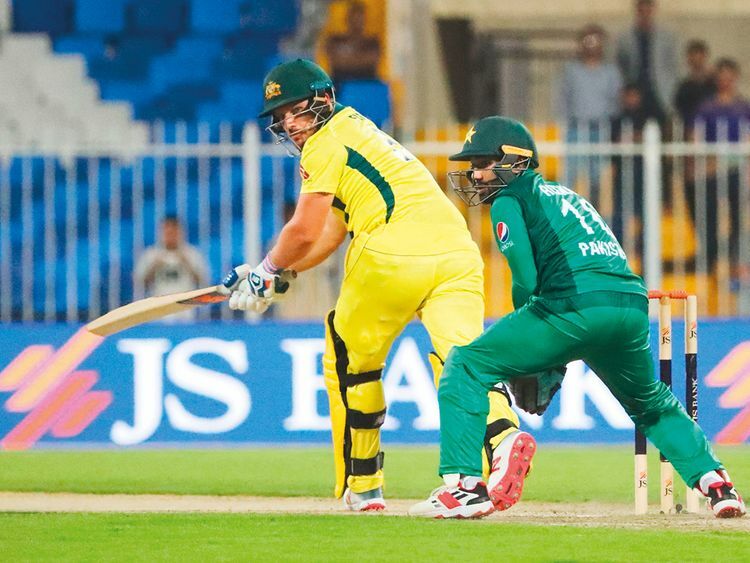 Sharjah: Australian skipper Aaron Finch, who led his team to a second successive win with back-to-back centuries, is delighted with the momentum that his team has gained in the five-match series against Pakistan. Counting from the Indian tour, it is his team’s fifth consecutive win in an ODI match and they will now aim to take an unbeatable lead through another win in Abu Dhabi in the third ODI on Wednesday. “Things are going quite well at the moment, but there are always things to improve,” said Finch, who hit a career-best unbeaten 153 to ensure a second eight-wicket win for his team. Finch then went on to praise his opening partner Usman Khawaja, who cracked 88 runs and helped him put on a 209-run opening wicket partnership. “Usman has been in good form and he’s getting big runs at an important time,” he said. The teammates were, of course, lavish in praise for Finch for his performance, starting from Khawaja. “The game ebbed and flowed, and our partnership ebbed and flowed a bit too. I got off with a bit of a flow while Finch was struggling to get it away and then he started middling it. To win the first two games was really important as we know Pakistan are strong in these conditions. When you get a partnership, you have to make it count as it’s hard for the new batsman coming in,” said Khawaja.